We introduced paid plugins, built by the community, about 6 months ago. A few users asked for the ability to be able to buy a perpetual license by paying once, instead of subscribing to a plugin on a monthly basis. While we still see a lot of value in a subscription model, as it aligns incentives between the plugin builder and the plugin users, we decided to offer the option to plugin builders to offer both models. Here is how it works in practice. Plugins are subscribed or acquired on a per-app basis. When acquired the license is perpetual for the given app, when subscribed the license is valid as long as the subscription is paid for. b. a one-time payment model, by specifying a one-time fee. c. both models, and let users pick what they want. When a plugin is subscribed, the fee is added to the monthly bill (or yearly if the user is on a yearly plan), and the amount is prorated. If you subscribe to a plugin for one day you’ll end up being charged for this plugin fee / 31. The regular app subscription invoice will show the detail. When a plugin is acquired, a one-time transaction will happen on the card paying for app, and you’ll get a perpetual license for this app. A separate invoice will be emailed to you. All these settings can be picked once a premium plugin is approved, in the Publish tab. After some considerations within our team at Zeroqode we decided to experiment with one time pricing and enabled that option for all our plugins along with the subscription model so that users can choose what they prefer. Out of interest @levon what is yours and your teams take on updates both minor and major updates when a consumer chooses the perpetual option? Back in the day when perpetual licensing was the norm generally speaking software companies would apply a percentage annual maintenance and support fee… Guaranteeing updates and enhancements free of charge in return for that annual maintenance. Fast forward… and the world is consuming everything on a subscription basis updates etc are baked into the subscription charge which in my view makes perfect sense and also encourages the developers to maintain their proposition as things change which they invariably do. The software I purchase that is on a perpetual licence now (e.g. OmniFocus, ScreenFlow etc.) tends to give me minor and security updates to that version included in my initial purchase. Then every year or so they issue a major update and I can choose to purchase that, at a reduced rate for a certain period of time, or I can stay with the version I have. Eventually, many years on, software providers do let me know if an old version I had purchased is being discontinued, or simply no longer supported. That seems to me to be a pretty fair approach. Are you in agreement? However, … the one thing that I am disappointed about with this Post is that it fails to implement @levon suggestion that he made when ZeroQode and Jarrad combined forces, he suggested a monthly package price where a package could include 3 or 5 or whatever number of plugins. That approach sounded good to me. @Bubbleboy sorry, I didn’t really understand the question, can you elaborate please? @patricia we are still big advocates of bundled approach and believe it would work very well. But it’s up to Bubble to make the decision to implement it or not and we cannot influence it. We decided to enable the one time option as an experiment to see how the market reacts, whether or not it would improve sales etc. We might remove it after some time if we don’t see any positive effects. Just a thought, and here is not the right place for it but is there any way that over time you could publish in your plugin’s descriptions which browsers they are compatible with. That would really help. An example… So I currently subscribe to one of your plug-ins. Over the past 3 or 4 months since I’ve had it you’ve continually updated the plug-in… Making changes, fixing bugs and adding features. 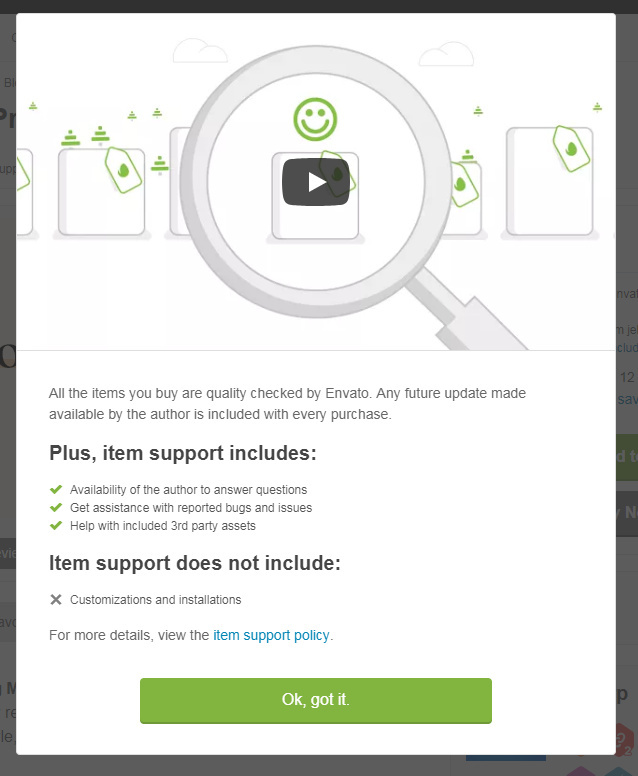 With these updates, bug fixes and feature additions be applied if for example I had purchased it as a perpetual license… If this is the case with the supply continually moving forward or with their be an expiration date on updates and enhancements? @patricia we try to mention the browser limitations where applicable, but yes, I know a case where we didn’t, sorry about that, we’ll fix it. Smart model! Plug-Ins are not Applications, it usually doesn’t make sense for a client to pay monthly for lots of plugins for EVER. And it doesn’t make sense to pay big for a prepetual liscence either, its still a plug-in. Building Plug-ins that solves a specific problem that most Bubble apps have. For more complicated Special-Situation Plug-In with less potential users, premium price is ok. In regards to updates for fixed-price products. Just look at any of the Envato sites (e.g. ThemeForest) for how updates and support could work. Great addition. From a consumer perspective, love one time purchase. As a business owner, bleh. For plugin makers, maybe have different versions of your plugin. Redactor, by Imperavi, did this for years. Redactor 1 was like $250, we bought a “perpetual” license with the understanding bugs would be fixed but the features were “you get what you buy”. Redactor 2 came out, was also $250, we bought a NEW license - Brand new features and still the understanding bugs would be fixed. It’s old school mentality and may not fit with this environment since the sand is constantly shifting under their feet. Just my two cents. If I purchase this plugin, and create multiple sub-apps, do I have to buy the plugin for each app, or does 1 purchase cover my sub-apps? just to add another quick question @emmanuel if we have a plug-in on a subscription plan and wish to upgrade or change to a one-off payment is there any way we can do this without the need to remove the subscription plug-in and then apply the one-off payment plug-in… It just saves a bit of time re-establishing workflows except if we could somehow make one-off payment. It’s one plugin - one app. So if there are sub apps, since it’s a different app, the plugin should be acquired or subscribed. It’s the same logic as subscription-based plugins. The way you do it is you unsubscribe to the plugin and then acquire it. When unsubscribing, you don’t need to change your workflows, you just click in the button in the Plugins Tab. So in other words, it’s literally 2 clicks. One to unsubscribe, one to acquire, no change to the workflows. Would be nice in the future to have the option to buy a per app license or an unlimited app license. totally agree, I feel like paying for each app is too much and can add up fast, especially if you are planning on using bubble for more than one project.